It will be painful and long, yes, but getting yourself and your home organised as soon as you can is the best possible strategy for kicking of the new year to good start. Putting it off, delaying the clear-up that extra week or two will just make it more difficult in the long run. The solution? Set yourself small, daily goals. Non-negotiable tasks that you get done as soon as you can to get your home life back on track. 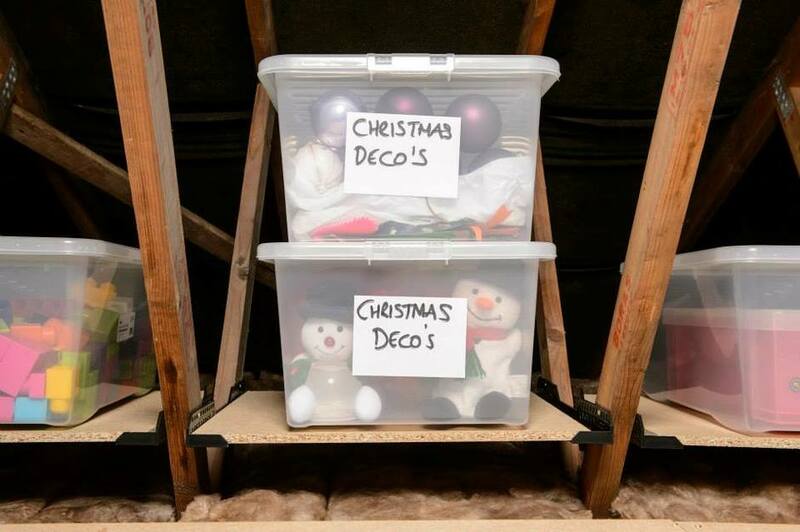 Get your loft ready to bring the Christmas decorations up by clearing the centre and having appropriate storage containers on hand to keep everything simple. The loft very easily becomes a dumping ground for everything you don't need to hand, so simply sifting through your belongings on somewhat regular basis (every couple of months or so) to remind yourself what is up there is a gentle reminder to yourself that a clear out needs to happen. Opaque containers similar to the ones featured below, are excellent for storing seasonal deocrations as they can be sealed and tagged without too much effort. They also keep your belongings protected against any dust, or unwelcome house guests. 2. Make use of what you have. Whether your loft floor consists of rickety doors positioned across the rafters, a couple of meters of plywood in the centre or boarding throughout that has been completed professionally, make use of every square inch. Space is a true commidty and if you are lucky enough to have loft big enough to use as storage, you better make the most of it. The undereaves can awkward, but try to place smaller boxes or items first and leave as much of the centre clear as possible. Boarding the loft is always a good idea for safety as well as storage, and the centre is key in accessing the entire space. 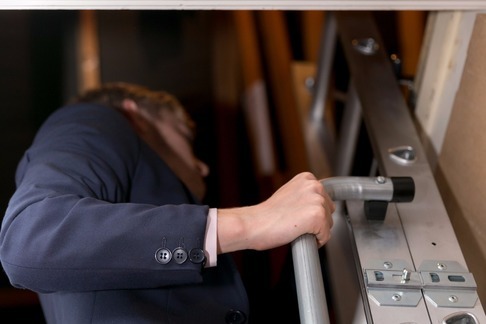 According to the National Accident Helpline study published in 2015, 1 in 50 (2.1%) have fallen whilst moving in and out the loft with Christmas decorations. From inadequate handrail support to balancing acts gone wrong, the majority of these accidents could have been prevented safe access. There are a number of support handrail available for most of the loft ladders available on the market, as well as balustrades to surround the aperture within the loft. You can view the full report findings here. Starting of the year with an injury, small or otherwise, is never a good thing. Packing away the Christmas decorations can be a good reminder to yourself that it is time to fix what you don't like about your home, beginning with the things that could cause actual harm. If you were lucky enough not to host 2017's Christmas Day, don't worry - your time will come. 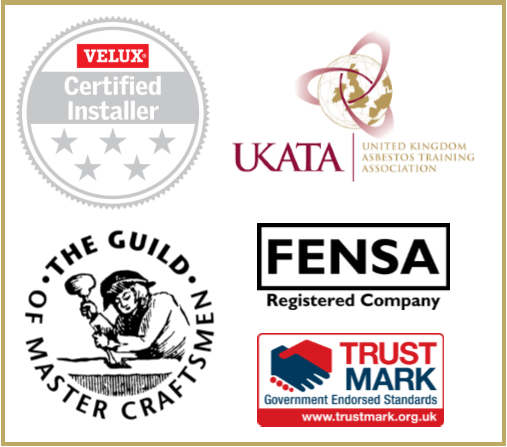 Essentially the entire loft conversion process, beginning from the initial survey right the way through to decorating and carpets, can take as long as eight months - dependent on your builder's/loft conversion specialist's lead time. Get in quick. 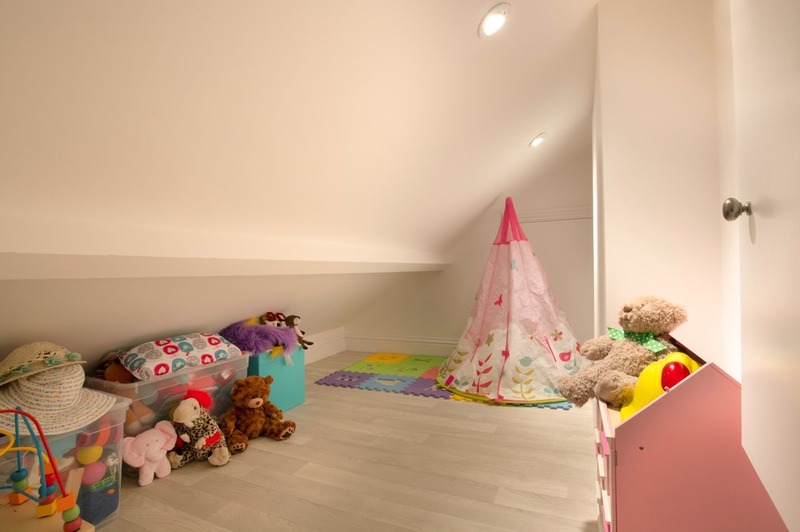 From basic but nonetheless safe access ladders to children's playrooms, The Loft Access Company can assist with all loft related projects. If you aren't happy with the state of your loft, please do give us a call and book your free home survey today! Thank you for taking the time to read! Please leave us a comment with your thoughts.